Myrtle Beach is a popular Atlantic resort in South Carolina. Plentiful local attractions, an excellent selection of golf courses and family-resort-style beaches make this a popular place to buy or rent vacation properties. 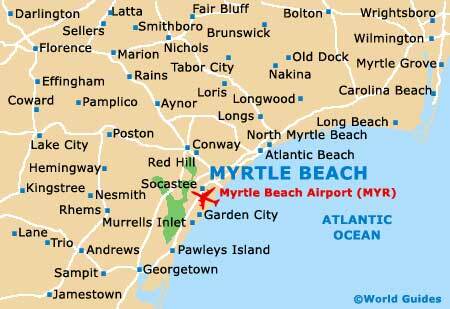 Myrtle Beach has a firm middle-class appeal, yet properties here can be highly affordable. The commercial Grand Strand follows the beach for several miles and has the best mix of condominiums and vacation homes with access to restaurants, shops and entertainment. North Myrtle Beach (technically a separate city) includes Cherry Grove - one of the most sought-after places to buy property in the area. Many of the freestanding homes were built the 1950s and 60s. It is not hard to find condominiums and small houses under the hundred-thousand-dollar mark, though these usually require some additional investment to bring them up to standard. Ocean-facing properties are generally well-maintained and can easily cost three to four times as much. Serviced apartments are widespread along the Grand Strand and in satellite retirement communities. These offer enhanced amenities that include shared facilities (such as swimming pools, fitness centers, etc.) and can cost twice as much as standard unfurnished houses. For short-term rentals, prices are comparable to those of mid-range hotels. Serviced apartments are often based in quieter communities with a greater selection of practical facilities. Committing to a month or more allows renters to capitalize on substantial discounts. Affordable townhouses, condominiums and houses are available all along the Grand Strand, and virtually all of them have a holiday atmosphere. It is common for investors to buy a beach house and then rent it out during the peak holiday season. Investors are taking increasing notice, as bargains are still available despite the fact that Myrtle Beach's metropolitan area has experienced recent growth. Vacation rentals and investment properties are found in the outlying neighborhoods of Carolina Forest, Surfside Beach and Murrells Inlet, among many others. It is important to find a reputable real estate agent who understands the dynamics of these different neighborhoods and can help you make the best selection. Bear in mind that closing costs and administration fees may reach ten percent of the sale price, though this depends on many variables. Finding the right real estate requires some shopping around, and potential buyers who take the time to talk to several enjoy better overall results. It is wise to find an agent who specialises in the type of investment or rental you are hoping to find, and agencies with the biggest portfolios aren't necessarily the best. 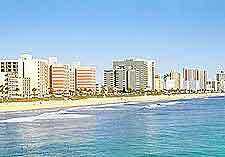 Surfside Realty specialises in vacation rentals in Surfside, Garden City and South Myrtle Beach. Kingston Plantation Real Estate offers upmarket rentals and vacation properties in a well-manicured oceanfront community. This agency sees to property sales and rentals in the Grande Dunes residential resorts, which is centrally located on the Grand Strand.